4 Bullet Dead Lock CY – 70MM. 6 LVS 2 in 1 D/LOCK BULLET – 100MM. 6 LVS 4 Bullet Dead Lock KY – 70MM. 6 LVS B/C. SPL D/LOCK – 100MM. 6 LVS D/A. DEAD LOCKS – 70MM. 6 LVS M/LOCK – 65/75MM. 6 LVS S/A. DEAD LOCK – 65MM. 6 LVS SLEEK M/LOCK – 65MM. 6 LVS. Bullet Cupboard Lock – 85MM. 8 LVS ANTIQUE D/LOCK ‘TULIP’ – 125MM. 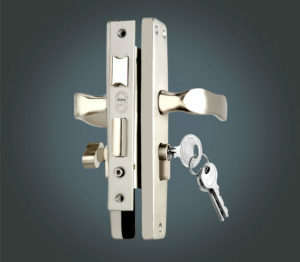 Baby Latch – 65 MM. Both Side Key Cylinder – 60/70 MM.